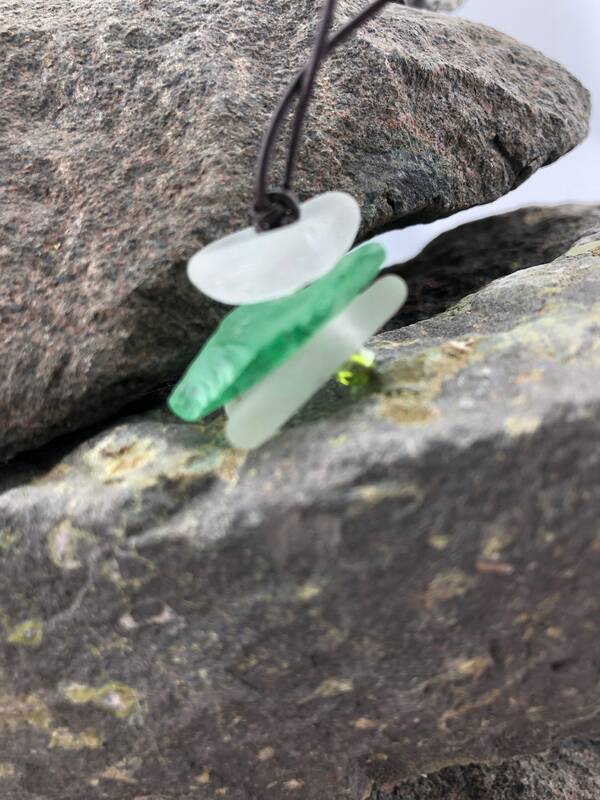 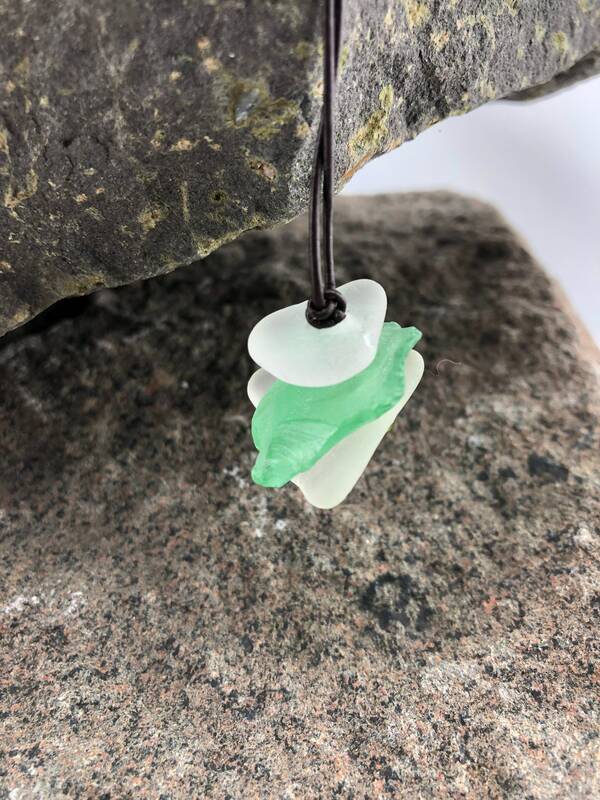 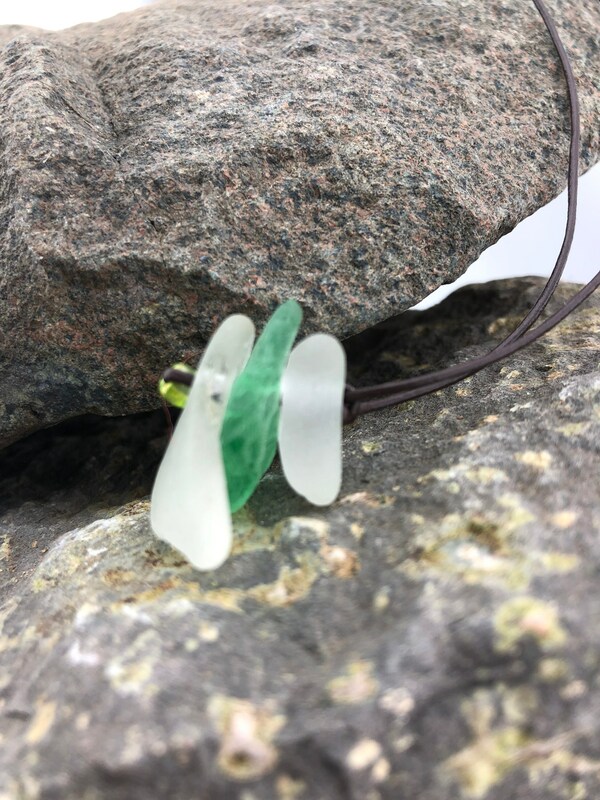 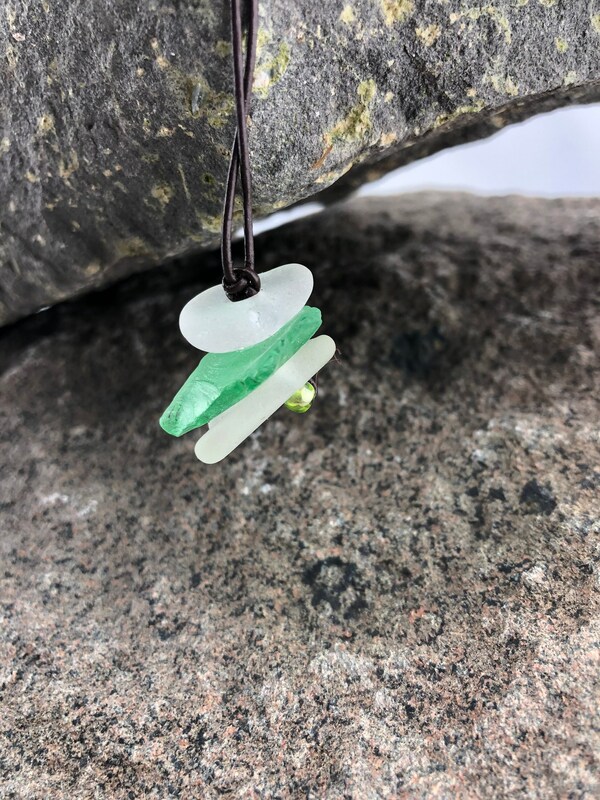 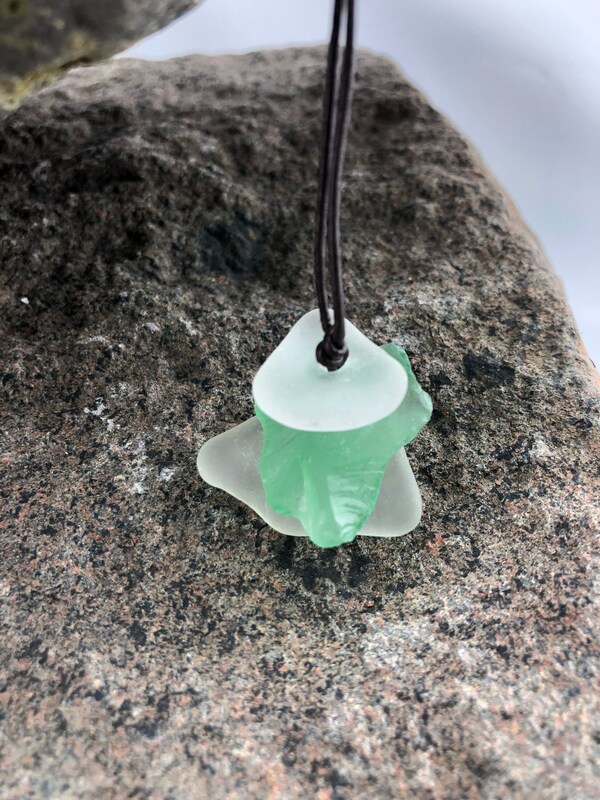 Simple beach glass cairn necklace pendant made from genuine beach glass hand gathered from the shores of beautiful Lake Superior. 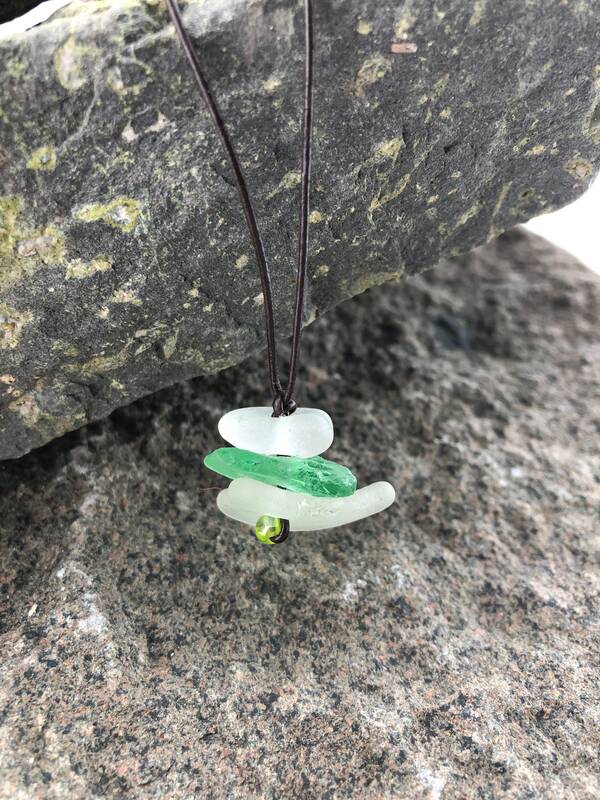 The pieces of beach glass used in this necklace were organically shaped by Mother Nature and remain in their natural, unfinished state. 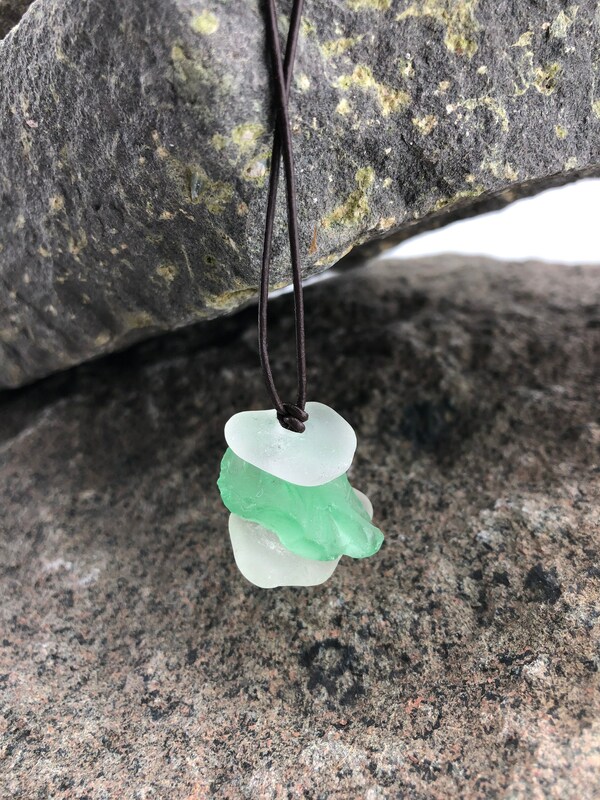 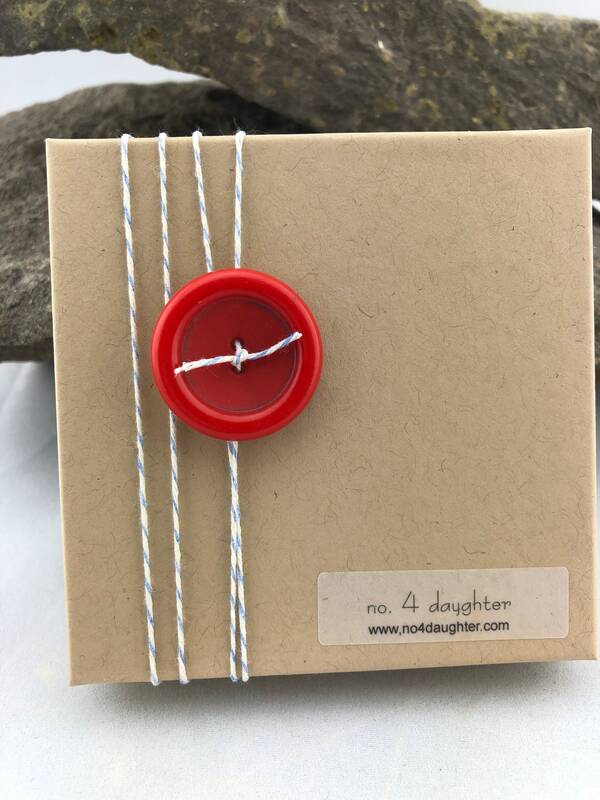 This is a unique custom piece of jewelry that is perfect for any beach and nature lover. 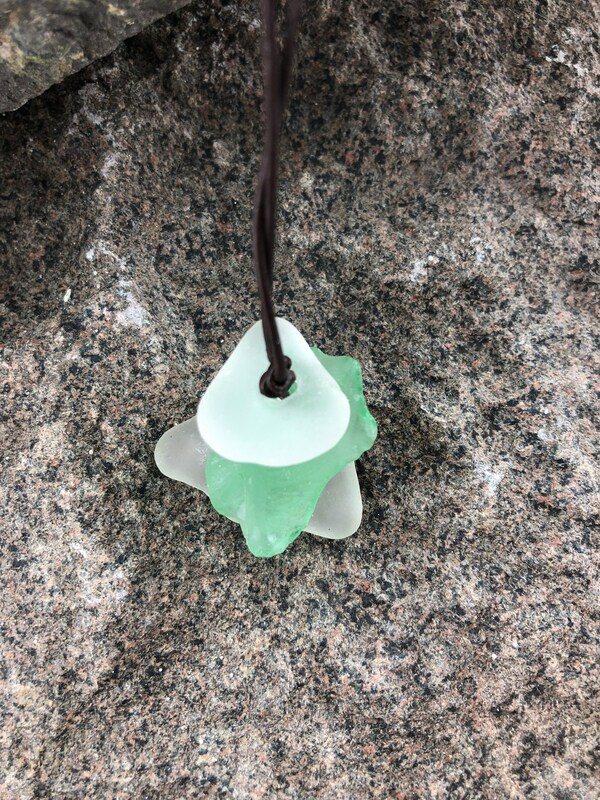 Two of the beach glass pieces are clear and the middle piece is a beautiful green. 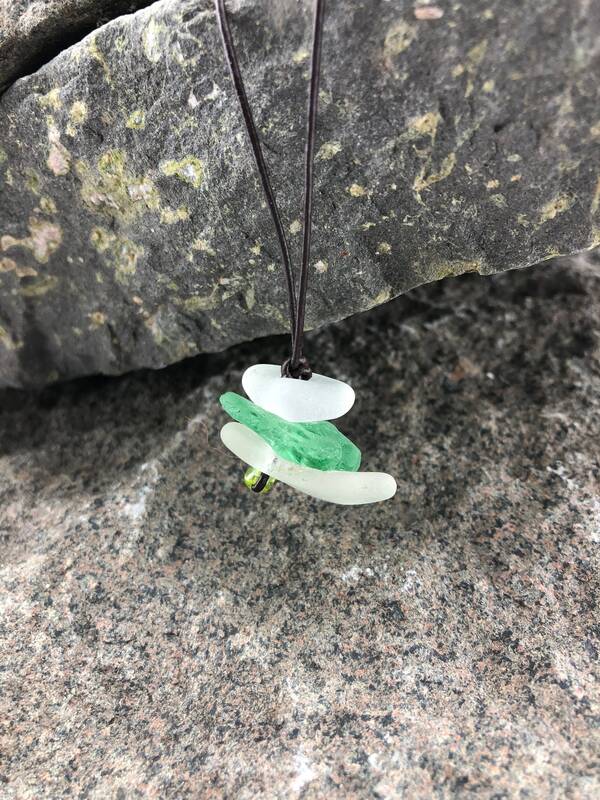 The brown genuine leather cord is 15 inches long (measured from the back of the neck to the tip of the pendant) and has two sliding knots allowing the necklace to be adjusted to make it shorter.